Trafime is today the most prominent Italian industrial entity for fine blanking. Our historical roots date back to 1967, when the company was established with the aim of dedicating itself to conventional blanking of aluminium components for electronics. Trafime’s industrial expansion has involved various sectors, from electronics to the automotive and telephone sector, without neglecting also limited series for a wide variety of Italian and international industrial sectors. 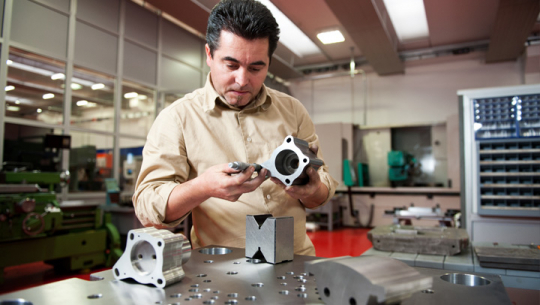 The establishment of our own mechanical workshop for the production of dies has led Trafime to become a leading player in the Italian and European industry. 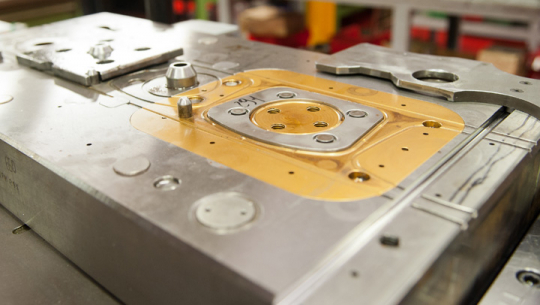 The production of components pressed with fine blanking technology is the result of a production system, designed for managing high volumes of materials through the dying station and with an exceptional optimization of the design of the die to ensure a suitable operation according to the programming parameters of the press. The die is an active element, with hydraulic functions integrated with the main functions of the press. It is evident that the expertise in the design of the active parts and the construction of the same is a main element of our know-how. Already in 1967,Trafime gestablished an internal division for the design and construction of dies. 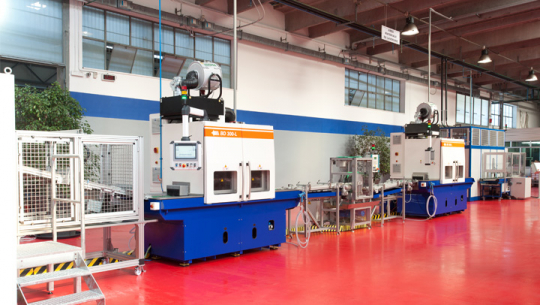 Recently, a brand new facility, state of the art of the pressing technology has been opened in the new industrial district of Bibbiano. Thanks to its extensive expertise in the design of dies and the continuous search for quality construction, Trafime has achieved today results that are probably unsurpassable. In this regard, we can mention the production of telephone tokens for SIP (the historic Italian telephone company) that remains to this day the largest fine blanking serial production in the world. The innovation is today transferred to the creation of a model of coin now used throughout the world, the bi-metal. It was Trafime that created the base for the first bi-metallic coin in the world, the 500 Lire. Today, the same technology is used for 1 and 2 euro coins. Today, Trafime is specialized in the automotive sector and has become a supplier of major OEM world groups and also of vehicle manufacturers directly. Thanks to its extensive 50-year experience, Trafime has continued its research activity and now serves a variety of industries. Even since the period of coin production, Trafime has been a dynamic company, aimed at large scale results, and that’s confirmed today. The company continues to address the requirements of the market, planning its investment so as to always meet demands with the best quality and provide customers with levels of reliability and technological capacity that no competitor today can deliver: a wide range of automated mechanical finishing processes, ultrasound and standard washing, 100% control of production, attention to safety aspects and finally great propensity to technological innovation for new products proposed by customers have allowed us to achieve the required results. However, such results are never a point of arrival, but only provide us with the momentum for reaching new goals. Trafime Systems is the internal division that coordinates all the skills and services supporting fine blanking, providing the customer with the possibility of receiving a finished component, complete with all needed treatments and processing and ready to go onto the final production line.